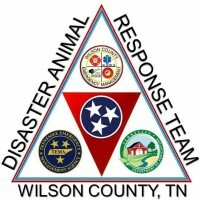 Today WC DART will be out in the Wilson Co. Community passing out Straw Bales for pet bedding sponcered by Country K 9 Rescue/Resort! There are 2 Stations: Dr Perry Harmon’s office and the Watertown Ballpark, straw can be picked up at these locations. Volunteers will be delivering straw throughout Wilson Co. As well. Thank you to all who are participating in this wonderful event! Keep Rover in mind, you know, the dog you pass by everyday, who is outdoors rain or shine- make Rover’s Christmas a little bit warmer, you may save a life! Thank you to Country K 9 for providing the straw and hosting this event!